The terminology EPIRB stands for Emergency Position Indicating Radio Beacon and it is used to raise an alarm in the case of an emergency. The alarm will be raised to a search and rescue service and most EPIRB’s will transmit via the 406 MHz frequency and have GPS enabled for the exact location that you called for help on. 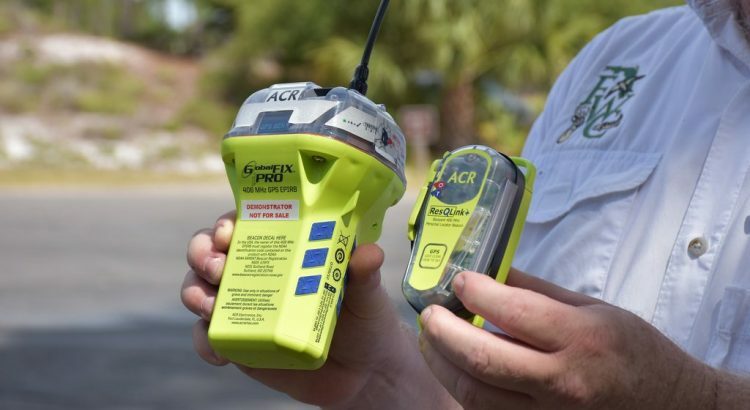 The best EPIRB is the ACR GlobalFix Pro 406 Category II, which has built-in GPS and strobe functionality and comes with an impressive 5 year warranty. For those wanting a PLB for boating, the ACR PLB-375 ResQLink+ offers an excellent solution, which can be attached to your life jacket in case you go over board. Even the most experienced sailors kind find themselves in trouble with the unpredictability of the sea. The use of an EPIRB will ensure that your call for help is routed directly to the search and rescue team for an immediate response. At The Marine Lab, we are asked about the difference between an EPIRB and a handheld VHF marine radio is. The most obvious difference is the fact that a VHF has a limited range of a certain amount of miles. Whereas an EPIRB is a satellite device and has an unlimited range for offshore sailing. 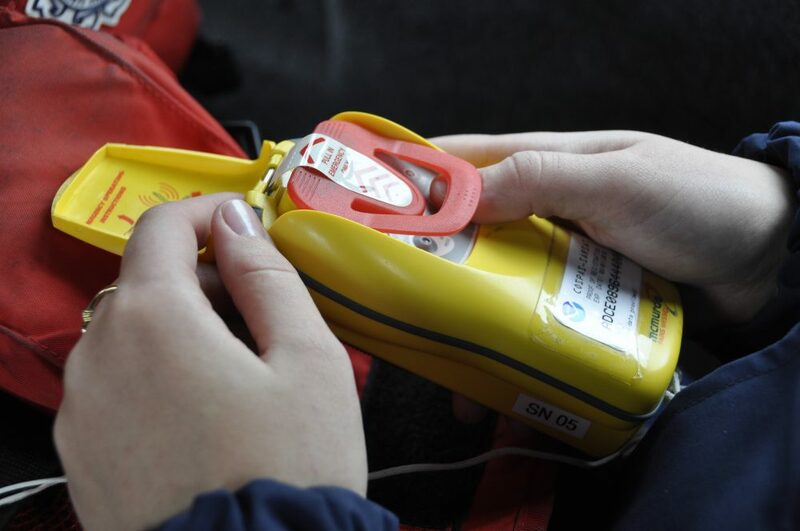 Personal Locator Beacons work in the very same way as EPIRB but are designed to be carried on the person as opposed to an Emergency Position Indicating Radio Beacon. 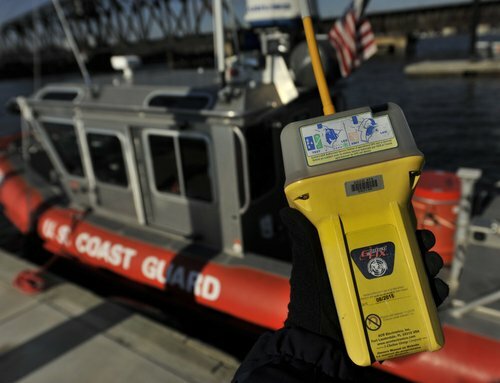 With regards to an EPIRB, you will need to register it correctly to your vessel as opposed to a person. Below is a list of the best EPIRB and Personal Locator Beacons for boating with built-in GPS and excellent waterproof properties. ACR is a brand that dominates the EPIRB market with many high end devices designed for sailing and boating in general. The GlobalFix Pro 406 is one of their top performing models, which is a category II rescue beacon with a manual release bracket. For experienced boaters, they know that the ACR brand is the go to product with regards to boat safety. This Emergency Position Indicating Radio Beacon is an expensive device to purchase but when it comes to safety, there is no price limit. Once used or the battery becomes dead (usually after 5 years) you will have to pay to get it serviced, which can be seen as a drawback but at least it would have served a purpose. Therefore its worth getting it serviced. Overall, it is the best EPIRB you can buy and can be easily registered to your boat within minutes. However, if you are not willing to pay the premium, there are other ACR rescue beacons available at a lower cost. The cheaper alternative to the GlobalFix Pro model comes in the form of the ResQLink+, which is a personal locator beacon for boaters. It comes pre-programmed with the US country code and has no monthly subscriptions like cheaper alternatives. 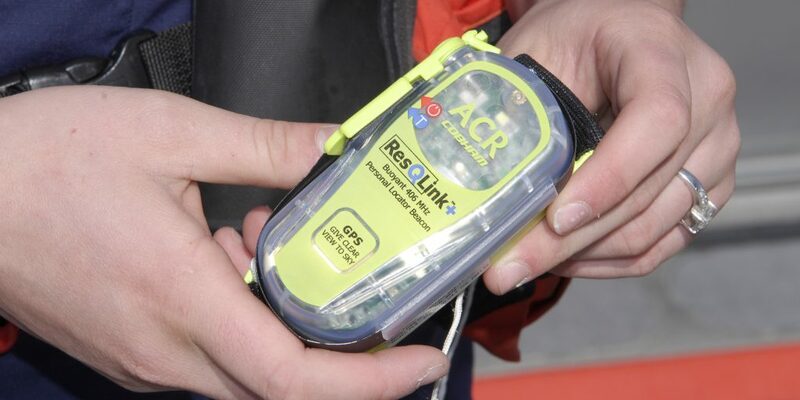 The size and lightweight construction of the ACR ResQLink+ is ideal for strapping onto your life jacket and is a must have for boaters or those going on fishing trips. Overall, it is the best PLB for boating, which is the perfect combination for those that want both a EPIRB and a PLB for the ultimate safety. We recommend attaching it to your life jacket and if you ever go overboard, this will be a lifesaver. The Ocean Signal Rescue ME is a compact EPRIB that can be retained within its quick release bracket or an emergency grab bag. It is pre-programmed with the US country code and must be registered to a vessel with the corresponding MMSI number. Overall, it is a cheap alternative to the ACR GlobalFix Pro EPIRB and has benefit of having double the battery life too. The smaller size of this EPIRB is also very desirable too and is one of the smallest on the market. The term EPIRB stands for Emergency Position Indicating Radio Beacon, and it is a device which you use to raise the alarm in case of an emergency so that the search and rescue services can come to your aid. It transmits its signals on a 406MHz frequency with the GPS enabled to a distance of 100 meters, with this signal is transmitted by satellite to a base station. The EPIRB concurrently communicates a continuous message on 121.5MHz allowing the search and rescue team to detect its location using radio direction finders. The EPIRB usually is either manual or automatic and come with a hydrostatic release bracket. Moreover, the battery life should be able to last at least 48 hours, and its replacement is done after five years. The registration of the EPIRB is specific to a boat, and whenever you change the ship, the registration changes with the process being free. These are minute EPIRBS for personal usage and transmit its frequency on both the 406MHz and 121.4MHz. However, due to their small size, they come with a battery life that can last a maximum of 24 hours. It is mandatory to register it to your name with your country’s Maritime Rescue Co-ordination Center and vital you understand it and learn to operate it on your own since the legislation put in place do not allow these devices to be water-activated. Once activated, always ensure the PLB antennas have a good view of the sky to provide good signal transmission. Furthermore, they should ever be kept out of the water, therefore, safeguard it by positioning it at the top of your jacket with its antennas directed towards the sky. Despite most not being able to float, they come with a floatation pouch which must be detached to activate the gadget. You should always wear your PLB gear even in cases where you do not have the appropriate equipment to wear it on. It is for this reason that some people fasten them to a lifejacket and in case you do place it inside your jacket, ensure your pockets are dry and water-resistant. The purchase of PLBs is an excellent investment for use on land as well sea with its use legally accepted, therefore, if you participate in outdoor activities such as hiking, it is an excellent investment. Finally, when lending your PLBs to someone, always change the registration details something the majority of the people often overlook. The EPIRBs emits a frequency of 406MHz to a satellite encircling the satellite system to precisely bring out the global coverage. Typically, there is an alert delay of approximately forty-five minutes depending on when the satellites on the horizon come into view. The satellite can establish your EPIRB’s position within five kilometers, decoding the message to identify to which specific boat the EPIRB is registered. By using that information, the search and rescue team can disregard false alerts and commence on the rescue mission. Moreover, the GPS-enabled EPIRBs come with an inbuilt transmitter that notifies the rescue services within three minutes with a positional accuracy of about plus or minus fifty meters. It is updated every twenty minutes to give a clear view of the sky. A few EPIRBs have a secondary distress transmitter which relays its messages on a 121.MHz frequency and is commonly used for homing objectives. Consequently, this allows the rescue team to identify and locate the signal source. Finally, other EPIRBs have a high brightness LED flashing light which assists in visually identifying you during the rescue. EPIRB come in two groups, Category I and Category II. The Coast Guard recommends purchasing the Category I EPIRBs if you can afford it, which has a GPS navigation receiver you can install on your boat. This Category I EPIRBs self-deploy using a hydrostatic release which activates and breaks free when they sink 1.5 to 4 meters below the water, sensing water pressure, with this particularly helpful if your sheep is submerging rapidly. Replacing the hydrostatic release must be done after every two years. After getting to the surface, they transmit the emergency signal. Some EPIRBs are “smart” and GPS-enhanced, that is, they automatically do a self-check and inform you if the battery is running out and most importantly tells you if the emergency services have received your distress call. Category II EPIRBs must be manually activated by taking the unit out of its mounting bracket and pressing the button to trigger it. Sailors mostly use Category II EPIRBs, the only problem with it being in the event you are paralyzed; you cannot activate it. Both Category I and II EPIRBs get activated upon being put in water. Having a Category I EPIRB installed on your boat would not be helpful in case you are overboard and only if the entire ship sinks to active the EPIRB. Therefore, if you can afford it, consider also purchasing a PLB which can be exceedingly helpful. For instance, if you have installed a Category I EPIRB to your vessel and the boat starts capsizing, it automatically sends a signal to the rescue services, communicating the ship and owner location. It saves lives if you are unable to flip the switch to raise the alarm manually. However, in the event you separated from your vessel, a personal locator beacon (PLB) dramatically increases your survival chances since you can manually activate it and it transmits your location thus improving your survival chances. Possessing either an EPIRB or PLB is convenient than not owning none of them, and this is especially important in the event you fall overboard or capsizing, with both being life-threatening situations. They come with various options depending on your budget. Whereas much emphasis has not been placed on the need of EPIRB or a personal locator beacon, they are just as important as a life jacket. Every passenger on the boat should have a PLB and an EPIRB for the ship. With the life jacket a safety requirement, adding an EPIRB and PLB vastly increases your survival chances, far much better if you did not you just used one or the other.